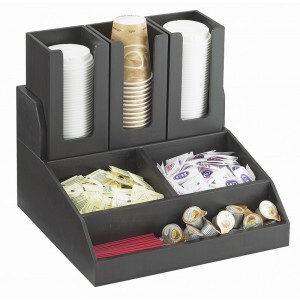 Midnight Bamboo Condiment Station - Cal-Mil Plastic Products Inc. It's your space, use it to your advantage! With the bamboo and midnight condiment stations, it is possible to save space while maintaining an environmentally friendly solution. This midnight piece adds to an decor and is ultra durable if properly maintained.